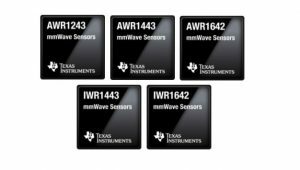 One year after introducing the world’s most precise millimeter wave (mmWave) single-chip, complementary metal-oxide-semiconductor (CMOS) sensor, Texas Instruments (TI) announces the mass production of its highly integrated, ultra-wideband AWR1642 and IWR1642 mmWave sensors. 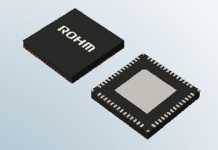 These sensors support frequencies from 76 to 81 GHz and deliver three times more accurate sensing and the smallest footprint at a fraction of the power of competing sensor technologies. 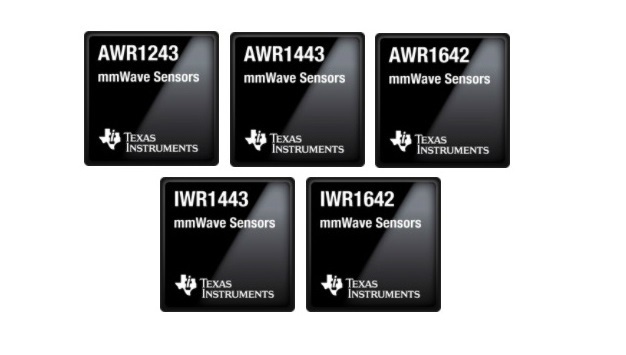 Thousands of customers are developing with TI’s mmWave sensors to enable innovation in automotive and industrial applications, including vehicle occupancy detection, people counting in buildings, machine and human interaction and more. Engineers around the world are using TI mmWave radar sensors, which will first appear in vehicles on the road in late 2018, to enable new advanced driver assistance systems (ADAS) applications, which include long-, short- and medium-range radar, that help make the car smarter and safer. 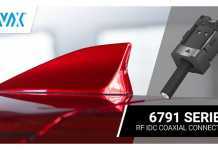 Expanding outside of ADAS, engineers are using the automotive-qualified AWR1642 sensor to detect free space and obstacles near doors and trunks, occupancy detection inside the cabin, intruder alert and smarter automated parking. 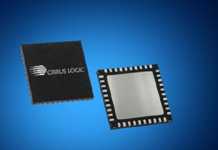 In addition to providing the industry’s only publicly available mass-produced single-chip CMOS sensor, TI also offers a common software development kit (SDK) and design resources to help speed development time. For example, the Vehicle Occupant Detection Reference Design provides a system-level overview and software examples for using the AWR1642 sensor to detect people inside a vehicle. To improve building automation, developers can use the People Counting and Tracking Reference Design Using mmWave Radar Sensor. By monitoring both the large and small movements of people through the collection range, velocity and angle data, developers can enable more intelligent building systems, including heating, ventilation and air conditioning (HVAC), lighting, elevators and more. The Traffic Monitoring Object Detection and Tracking Reference Design Using mmWave Radar Sensor for smart cities tracks vehicle and machine movement with a sensor-equipped intelligent transportation system on the road, in the factory or on the farm to streamline everything from parking meters and traffic lights to agriculture and construction equipment and incident management. Developers can use mmWave sensors in machines on the production line to sense and avoid obstacles or detect and recognize hand gestures through the collection of range, velocity and angle data, revolutionizing human and machine interactions.